ROME (CNS) — After months of public debate and protests, the Italian Senate passed a controversial bill that grants legal recognition to nonmarried heterosexual and homosexual couples. 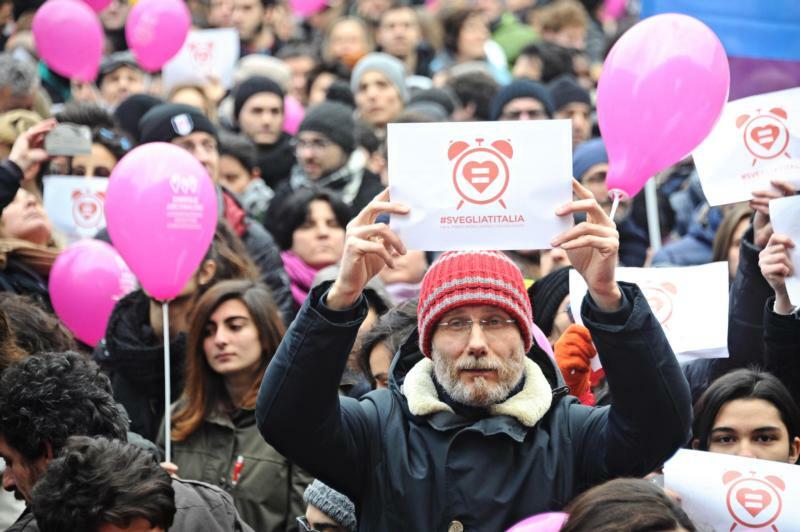 The legislation, known in Italy as the “Cirinna” bill, passed Feb. 25 after the bill’s sponsors removed a proposed clause that would allow for a nonbiological parent in a homosexual union to adopt the biological children of his or her partner. To become law, the bill also needs the approval of the lower house of the Italian parliament; a final vote is expected within two months. Reaction to the vote has been mixed. Although Italian Prime Minister Matteo Renzi hailed the vote as a victory, Italian Sen. Monica Cirinna, the legislation’s main sponsor, called it a “hollow victory” given the removal of the adoption clause.